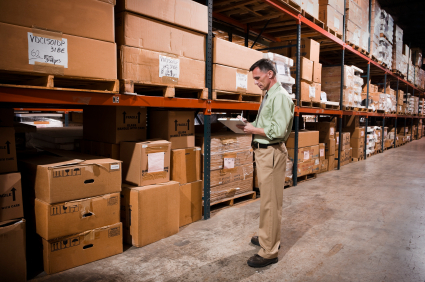 Inventory data is some of the most important information you have powering your business. Knowing what product you have and where you have it is essential to keeping your company working at its highest potential. That’s why it is essential to have the most up-to-date, accurate information in order to make the best decisions for your company. The age old method of taking inventory included employees individually identifying, counting, and writing down the information about each piece of merchandise in the warehouse. This tedious process takes time, money and man power away from other important tasks that the employee could be performing. This method also provides numerous touch points for human error to occur. The fees and costs associated with inaccurate packing and shipping quickly add up when inventory data is unreliable as a result of human error. Using barcodes is a huge improvement. Now data can be scanned and directly entered into an inventory tracking system. Now more passing the slip of paper down the line and having someone type it it hours or, typically, days later. Scanning reduces the data acquisition cost, increases your sales and profitability by freeing up employee time to produce instead of capture data, and lowers the amount of missing and incorrect data. RFID takes this one step further and eliminates the need for employees to stop working at all because there is no need to pick up a scanner and search for the barcode. With contactless tag reading capabilities, RFID technology automates and streamlines the inventory process. This results in reduced time, money, and man power required to keep inventory data up to date. That means higher profits and higher sales with the same resources! The increasing migration towards RFID technology is putting more pressure on manufacturers than ever before to reduce processing time. The less time employees spend taking inventory, the more time they can spend performing other tasks. This redistribution of attention will make the supply chain more efficient. Here is a great example from retail. According to Leslie Hand, Research Director of IDC Retail insights, “[with RFID] 96% reduction in amount of time to cycle count, enabling more frequent and more valuable insight into real physical inventory”*. A 96% reduction in the time required to take inventory could mean big savings for your company! Manufacturers and warehouse operators should expect the same level of improvement. Regardless of whether you choose barcode (good) or RFID (best), getting away from pen and paper tracking will have immediate impact on increasing your profitability. Move away from the pen – it’s time to make more money! The Sage X3 platform is a powerful tool that allows you to track inventory and production data in addition to the core finance functions customers typically roll out first. When you use X3 to its full potential, you get traceability/tracking, better production cost data, and the ability to create manufacturing metrics that should result in improved efficiency. We typically see customers start with the standard X3 install, then add the manufacturing and ADC tools. However, simply enabling these features won’t help you if you are not feeding the system good data on a consistent basis. So what is missing? 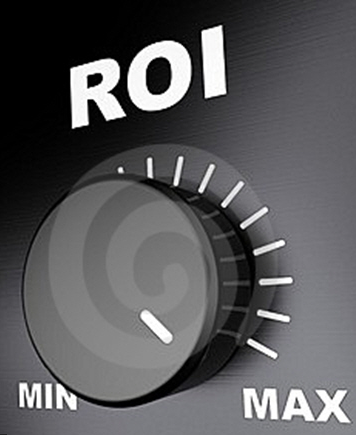 How do you increase the ROI of your project? You will generate the highest ROI for your project when you simultaneously implement both the data housing (manufacturing, ADC) features in X3 with the data capture tools (Barcode, RFID, Sensor Appliances, Labor Tracking Appliances) on your production floor and warehouse. We’ve talked about ADC in the past and the 8 components you need for a successful implementation. ADC is a great first step and should create immediate benefits whether you choose barcode or RFID. But adding better data capture tools will reduce your cost of data collection, can remove the human element (errors, forgetting), and generally improves the quality and amount of data you collect. Better data at a lower price! Essentially, having the right tools allows you to stop paying employees to collect data and instead pay them to produce — what you originally hired them for. Fixed RFID: Whether deployed at a dock door to automatically track pallets in/out or at a piece of equipment to automatically issue raw materials or create new WIP, fixed RFID offers tremendous value because data capture is fully automated. You can also deploy RFID portals between your production floor and your warehouse so you can reconcile the human-dependent put-aways with the actual flow of product in your facility. This gives you the data to enforce policies and correct mistakes immediately, rather than at the dreaded physical count once or twice a year! Sensor Appliances: Did you know you can connect just about any machine or sensor in your facility to X3? Sensor appliances allow you to automatically capture machine health, process temperature, metal detector output, flow gauge data, and just about anything else you would like to capture and associate with a work order running in X3. Labor Tracking Appliances: Need an easy way to track which employees are in a particular work cell and for how long? Want to scan a work order and have an easy way to enter piece count or defects? Touch screen appliances can be deployed on the production floor to easily capture this information and send it to X3. X3 does so much more than simply tracking your finances. The integrated manufacturing and warehouse manufacturing capabilities are powerful tools. But these tools are only as good as the data you feed them. Whether it is the increased need for traceability data, the desire to improve profitability in the warehouse by reducing chargebacks or increasing inventory turns, or the need to increase sales at a higher profit by increasing efficiency and capacity on the production floor, customers are increasingly accelerating deployment of these data capture tools to be used with X3. By reducing the cost to acquire production and warehouse data, manufacturers are able to feed X3 more data and more accurate data. This unlocks the full power of the Sage X3 platform and delivers the highest ROI.